Advertised with no on going chain, this charming end terraced cottage is situated in the superb village of Moulton, which has direct views overlooking fields and offers several countryside walks on your door step. 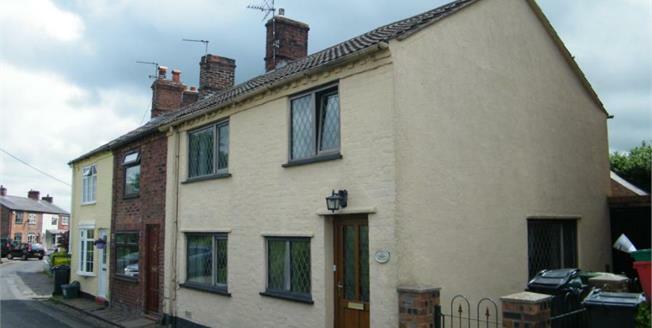 With local amenities including shops and a primary school within walking distance and close by to the A49 links to Manchester, Chester and Liverpool this cottage is perfect for families, first time buyers, or anyone looking for that perfect semi rural spot. The accommodation in brief comprises of, entrance porch, two reception rooms, kitchen, downstairs W/C and utility room. To the first floor there are two double bedrooms and a family bathroom. Externally the property boasts enclosed rear garden with outbuildings. Viewing is highly recommended to fully appreciate the accommodation and location this property has to offer.